One of the greatest cricket batsmen of all time, he scored 8,540 runs in 121 Test matches, with averages some years in the 90s. He became the first player to score 1,000 ODI runs and take 50 ODI wickets, once scoring a century and taking five wickets in the same match. He led his West Indies team to the first Cricket World Cup final. He was known for completely dominating opposing bowlers with "swagger." He had a stadium named after him in North Sound, Antigua. He married Miriam Richards, and he has three children. 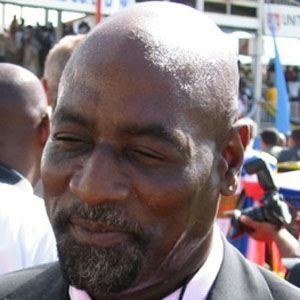 His son Mali also played first-class cricket. He and Sachin Tendulkar are arguably the two greatest cricket batsmen in the history of the sport.